would love a second book!!! I need to know what happens next!! In the end, I did like this book, it had a great message. Some parts were pretty corny and had a teen literature feel. It’s worth a read/listen. Good book that touches on a number of social issues. The romance was a bit steamy, but the author eloquently described the thought process and experience of a woman involved in an abusive relationship. It is easy to pass judgement on situations like this if you've never been in a emotionally or physically abusive situation, but in my opinion it was a good message for those who have experienced it, and an educational experience for those who haven't if you have an open mind. I enjoyed the book. The main characters justifications did get frustrating but overall I agree it is an important message. This was my first attempt to listen to an audio book and won't be my last. Bottom line, the underlying message was meaningful but I it took much to long to get to arrive, before navigating through some cheesy love scenes. This book was a tad Cheesy and felt a little like a teen read. I found the main character annoying a lot of the time, however the message was important and I did find myself wanting to finish the book to find out what happened to the characters. I am not a fan of this book - I struggled through it because I hate leaving a book unfinished; however, it was really difficult. I believe that the message is important and I thought the author made some excellent points (e.g., "Why do people never question the abuser in an abusive situation; why do we always ask 'why doesn't he/she just leave'"). The dialog was cheesy and predictable. At times I felt like she was trying to capture Christian Gray to portray Ryle. The plot was predictable after the scene where she was hit. Such an important book! 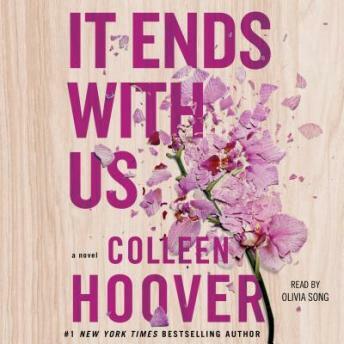 Colleen Hoover did it again! Awesome! Colleen Hoover has written her best book yet today. This is an eye opening to all.